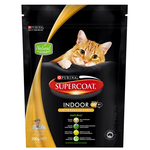 Supercoat is natural and nutritious food for your feline companion. Supercoat's specially designed formula delivers better nutrition for your pet. 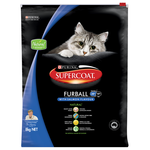 Supercoat is complete and balanced nutrition to keep your cat happy and healthy. 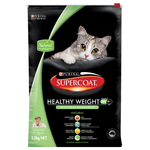 The Supercoat range offers high quality nutrition with wholesome and natural ingredients. Supercoat is specially formulated for kittens, adults, indoor cats or those prone to furballs or weight gain. Made with real chicken, tuna or kangaroo your cat will love Supercoat. This cat food is all natural with no artificial flavours or colours. Supercoat cat food combines quality protein with natural ingredients to deliver precise nutrition for your cat. All Supercoat products display the official Australian Made logo on their packaging. Dr Harry is also a proud supporter and ambassador of Supercoat.